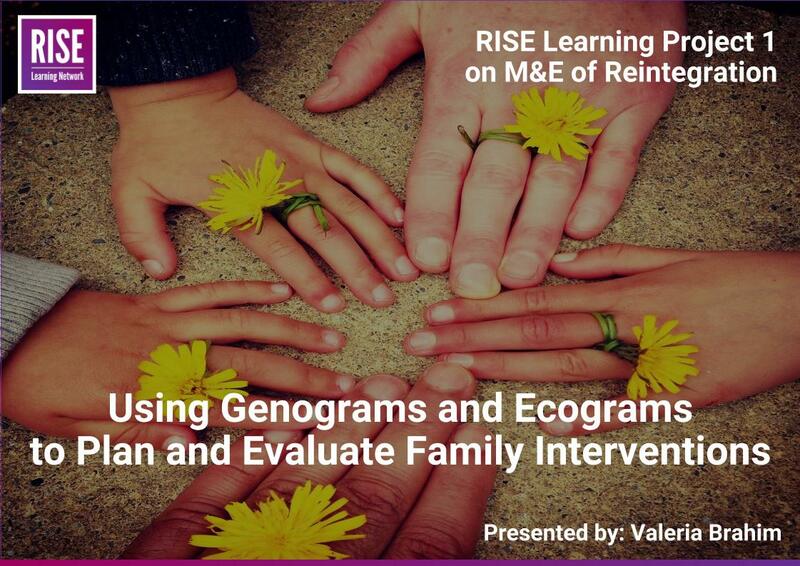 Genograms are a graphic representation of a family tree that displays detailed data on relationships among individuals. Social workers and psychologists us it to clearly see how the family is organized, their history and recurring patterns. Ecomaps are a diagram that shows the social and personal relationships of an individual with the environment. It allows you to see the needs and resources of a family, to help them creating a work plan for resource development. Join us on Friday, November 11 at 12:00 PM (GMT-2:00) São Paulo. Valeria Brahim, Psychologist and Social Programs Director at Asociación Brasileña Terra dos Homens, will shed light on how to use these tools to support planning and M&E. Valeria is an expert on systemic therapy and a specialist in planning interventions around violence against children. She is a Professor on Sexual Violence at the University of São Paulo, and has published many articles in national and international publications in the area of children, family and community life. Please note, this webinar will be held in Portuguese.